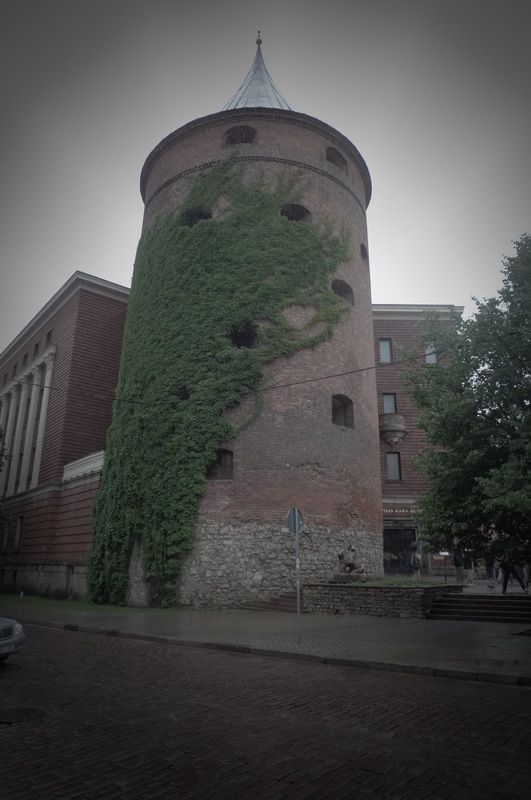 Today me and Yini have explored Riga’s old town accompanied by grey skies and intermittent drizzle. 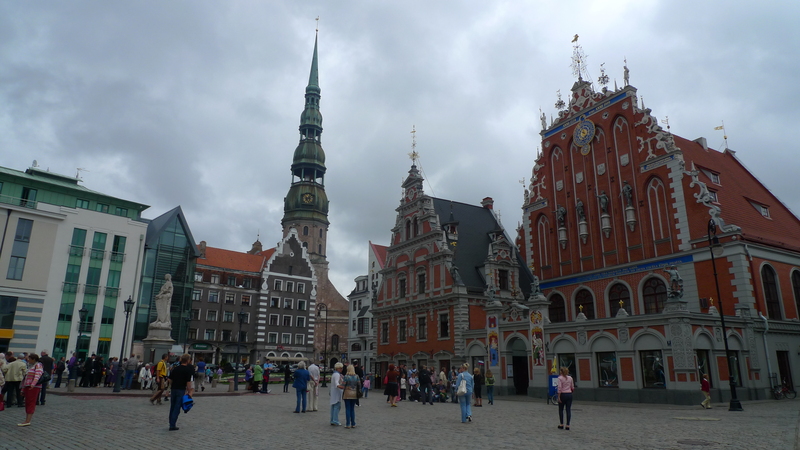 The old town of Riga, much like that of Vilnius, is full of churches, merchant houses and other old buildings covered in ornaments. 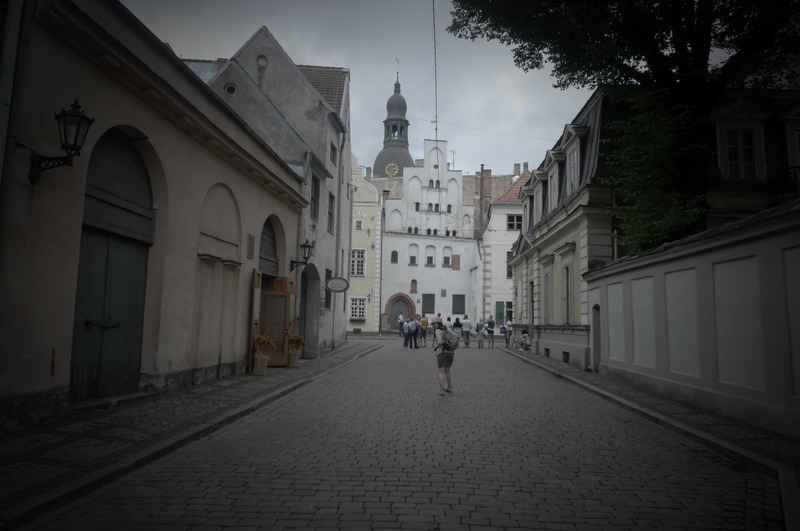 Unlike Vilnius most of it is in good shape with brightly painted walls and unbroken masonry; it seems the Latvians have done a better job of either preserving or restoring its old town. 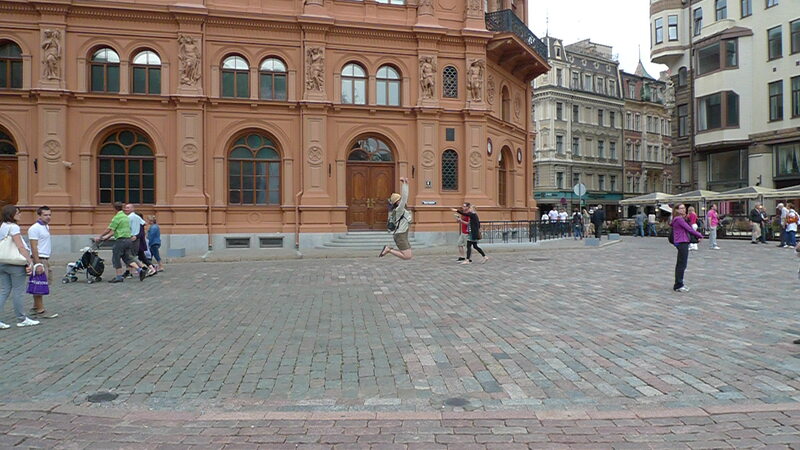 There is more life on the streets of Riga as well, the ground floors of nearly all the buildings hold small shops and there are several cafes on all the small plazas. It’s a pleasure to see such vivid, modern street-life intermingled with the ancient architecture, it makes it feel like the old town till has a young spirit. In search of shelter from the rain, we postponed sightseeing somewhat for a tour of the central markets. 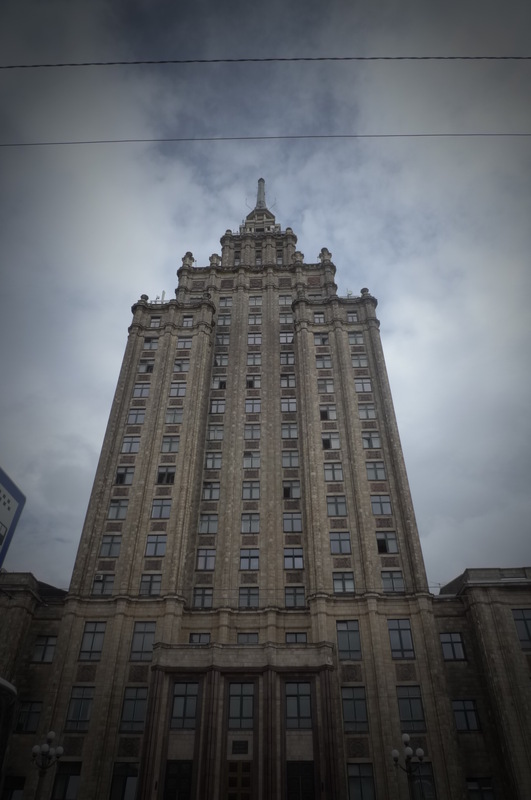 This is an area close to the train station in and around a couple of old soviet hangars that have been populated by pedlars of everything fruit and vegetables to mobile phones and clothes. Lacking proper markets back in Sweden, having a stroll among the myriad stalls is enjoyable, especially taking a chance on some snacks and finding that they are not only cheap but also taste good. 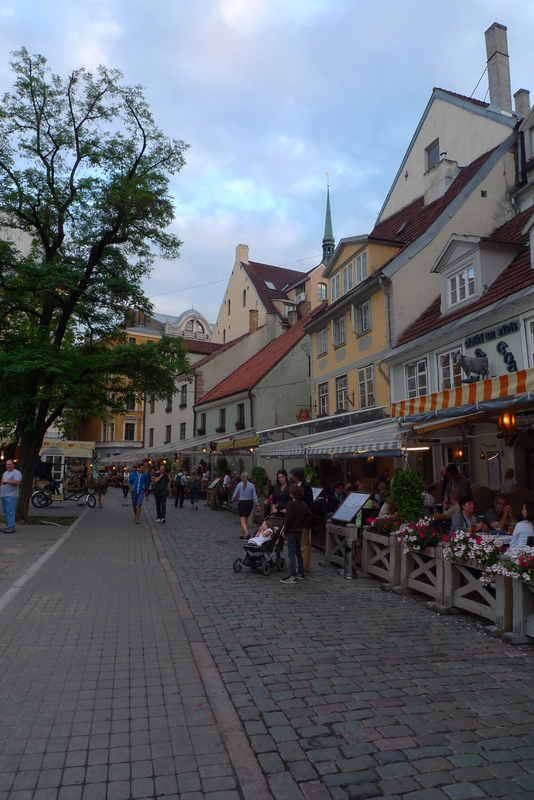 When the rain had cleared up a bit we did some more sight-seeing in that end of town then moved back towards the center of old town for dinner. By the time we finished our dinner it had cleared up pretty well and, this being northern Europe, the sun was still up and the sky blue. 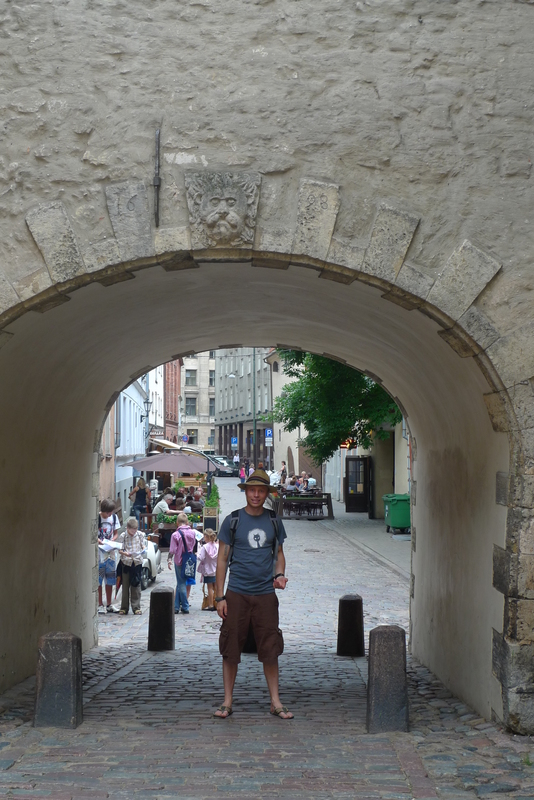 So we went for another stroll on cobbled streets and saw the city from its good side for the first time. 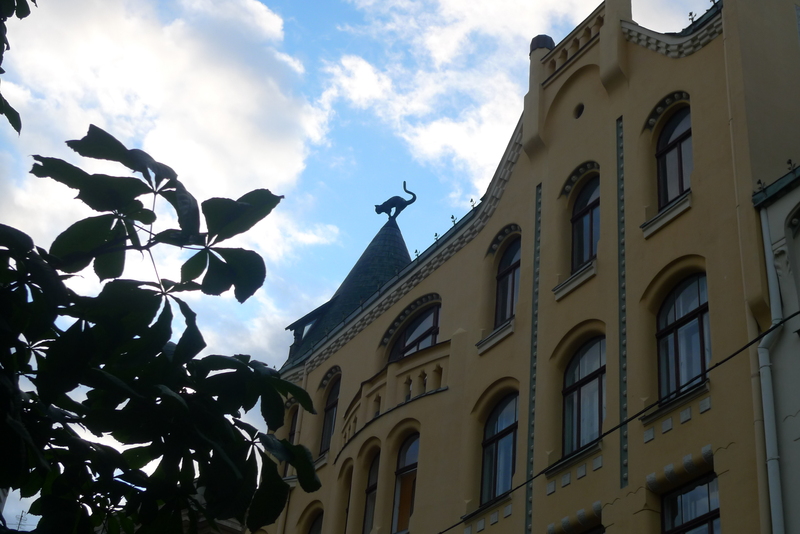 We also managed to find the trade mark cats house, an old house with a statue of a black cat on the top of every turret. 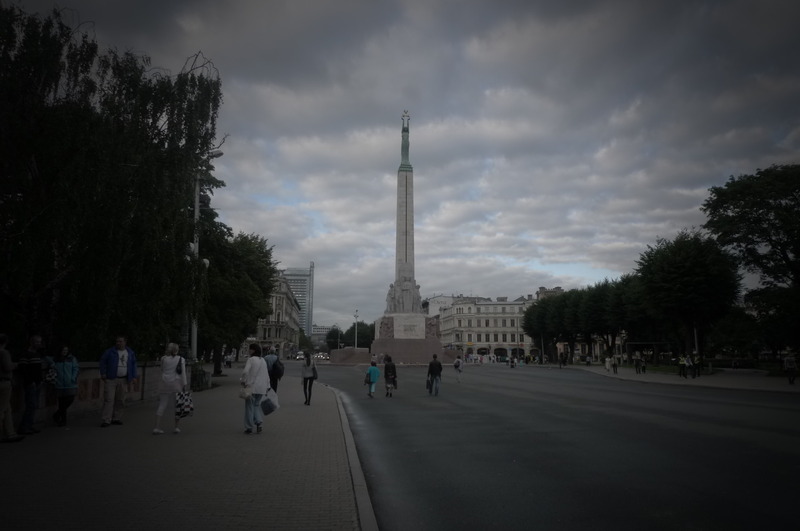 Tomorrow we continue to explore the Latvian capital, very likely in better weather, so expect better pictures.